The egg is the perfect physical embodiment of the concept of transformation in one, neat package of potential. Back in my farm days I never tired of tending an incubator full of eggs, monitoring temperature and humidity, tracking every time I turned the eggs (2-4 times per day) on a spreadsheet, counting down the days until the hatch began. The eggs didn’t change in appearance, but inside, miracles were occurring. By marking one side of each egg (these are turkey eggs) with an X I knew which side was up. After 3-4 weeks (exactly how long depends on what kind of poultry I was hatching), the eggs began to twitch and vibrate as the inhabitants started plotting their escapes. Soon, muffled peeping began to emanate from the incubator. Using a knobby bit on the tops of their beaks (called an egg tooth), the hatchlings hammered upward, piercing the shells and not stopping until tiny cracks and holes formed a ring around the fatter end of the shell. The following two videos show the final step in this process when the little one would crack off the lid of the egg and splurt out (these are turkey poults). During the days of rapid growth and change during incubation, the yolk provided all the energy needed to transform the fertilized egg into a fully formed creature capable of escaping from a claustrophobic prison. After a short rest during which they dried off and fluffed up, they were ready to eat, drink, and run about with surprising enthusiasm. We kept a mixed flock of hens, in part because we enjoyed the range of colours and textures they produced in their egg shells. Depending on what the hens were eating, the yolks ranged in colour from canary yellow to deep, dark orange. One of the hatchlings, all grown up. And, yes, the fact my beak was beginning to match the chicken’s is not lost on me. It’s a good thing I left farming when I did or I might have started sprouting feathers. It’s hardly surprising that eggs, being of a particularly satisfying shape and containing, as they do, the cosmically mysterious beginnings of life have made many appearances in art. Mix together the egg, oil and banana. Add the remaining ingredients, mixing well. Spray a 2 c-size ramekin with olive oil-based cooking spray (I’ve also used olive oil to grease the ramekin, but don’t find that works quite as well). Pour the mix into the ramekin and microwave for 2 minutes and 30 seconds. You can either eat these hot and soft or cut in half (or thirds, if yours rises a lot – this varies a bit) and toast before serving with your choice of butter, cheese, nut butter, honey, or jam. Piglets are not the only thing that’s been incubating around here. We are also hatching out various types of poultry in a couple of very basic incubators. These do not automatically adjust if temperature or humidity is off a bit, so I check the temperature manually several times a day and adjust as necessary. 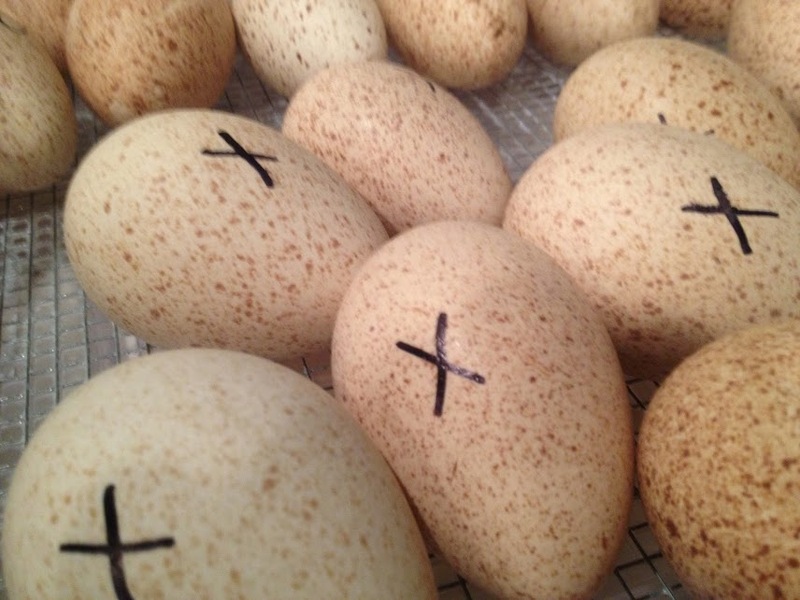 Ridley Bronze turkey eggs in the incubator. I also need to adjust the position of the eggs, turning them from one side to the other several times a day. To keep track of which side is up, I mark the eggs with X’s and O’s. Each time I turn the eggs I also record the temperature and note the direction in which I turned them (left or right). Each incubator (one for turkeys, one for chickens) has its own chart. Every time I open the lid of an incubator, adjust the temperature, turn the eggs, add a bit of water to the tray in the bottom (to raise the humidity) I think about the broody birds who do such a good job of hatching out eggs and give them a silent nod of thanks for helping to reduce my workload just a little (we also let some of the birds sit on their own nests – the ducks and bantam hens make the most amazing mothers). 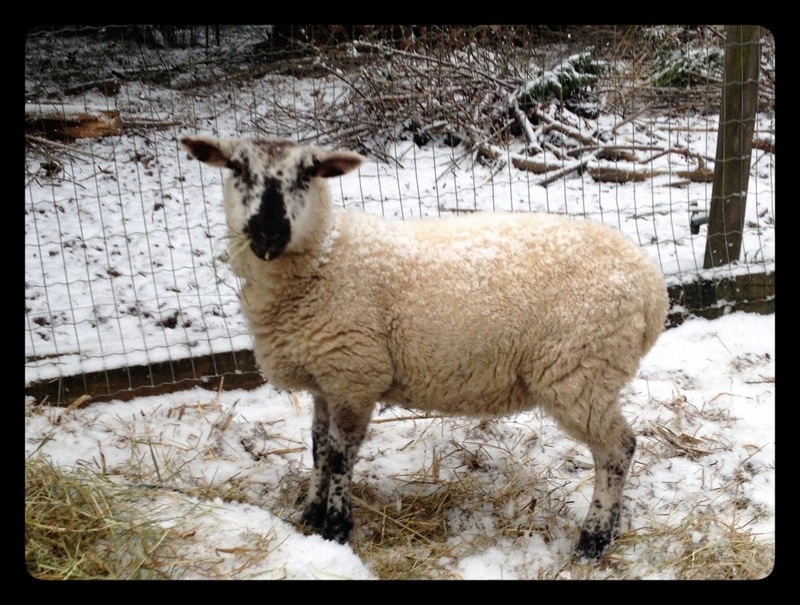 In the depths of winter when the grass stops growing we stop moving the chicken pen so frequently – there’s not much point. The hens would just decimate whatever area they were parked on. 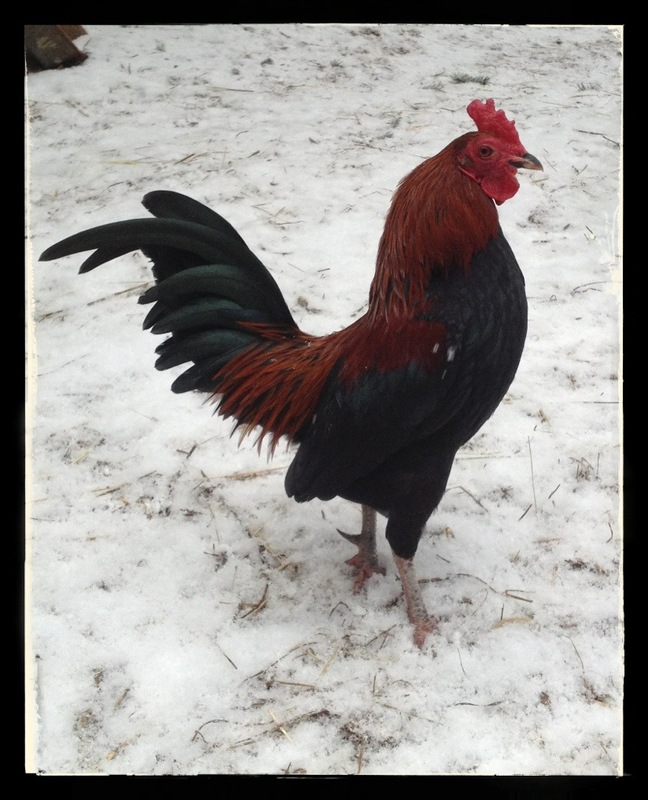 Instead, we add fresh hay and veggies each day along with the hens’ ration of feed and then let them scratch away. They do nibble at the hay, but over time the hay layers build up. 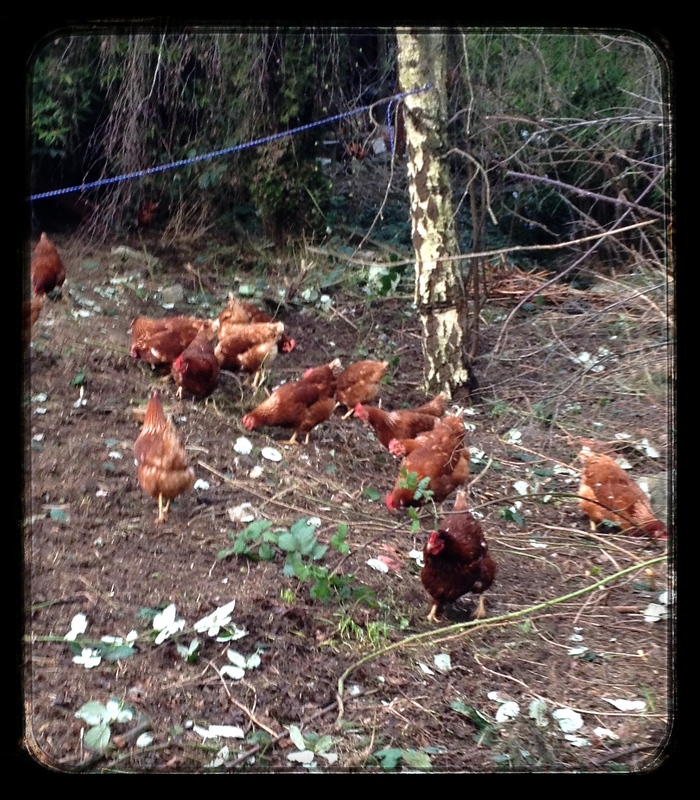 The combination of chicken manure and hay creates a lovely environment for worms and other grubs and the hens wind up having quite a good time scratching around hunting for these tasty morsels. 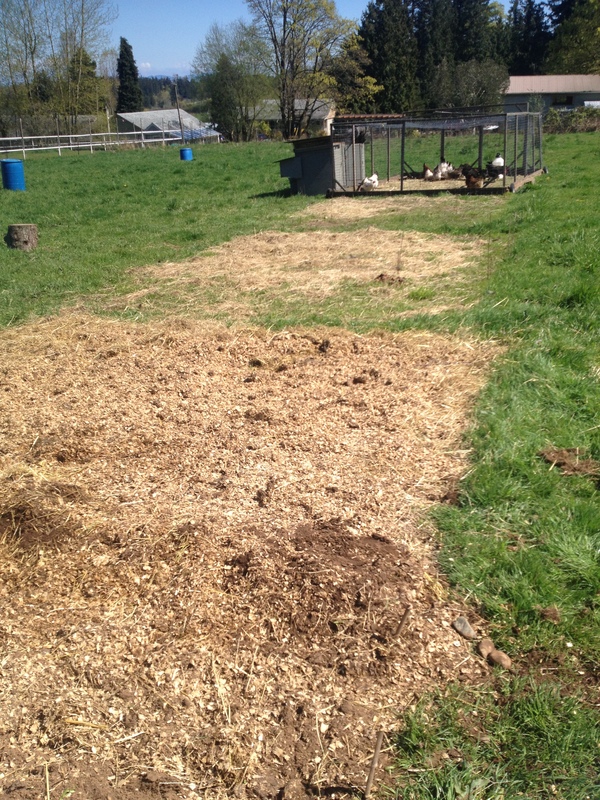 Now that the spring is here we are moving the pen more often and this has left a trail of patches of heavily mulched/prepped potato beds. 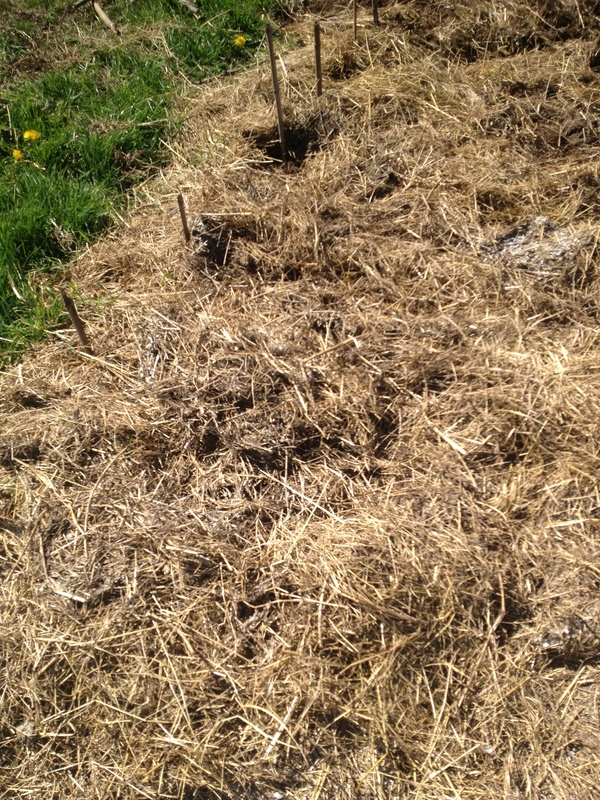 We’ve been planting potatoes for the past month or so and will continue to add straw, etc as the plants begin to grow. 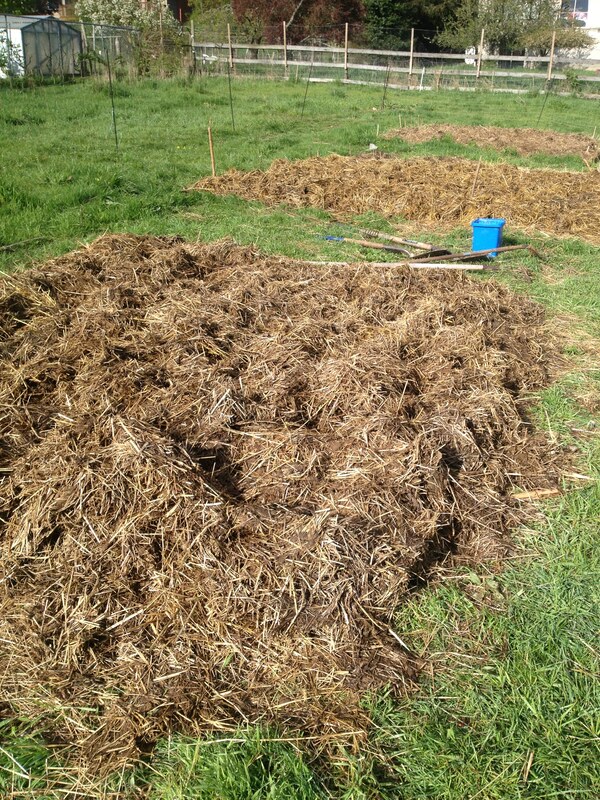 Next year, we will have the foundation for some nice new beds to which we can add some well-rotted compost and soiled bedding from the hen houses and we can plant some heavy-feeding plants down in the same area. The dogs have a whole field to run around in, but without fail, they prefer to frolic right in the new beds, which is why I was seen hiking along the road with a huge roll of portable fencing over my shoulder. This should help keep the dogs off the potatoes! Many thanks to LS and ME for their help getting this job done. 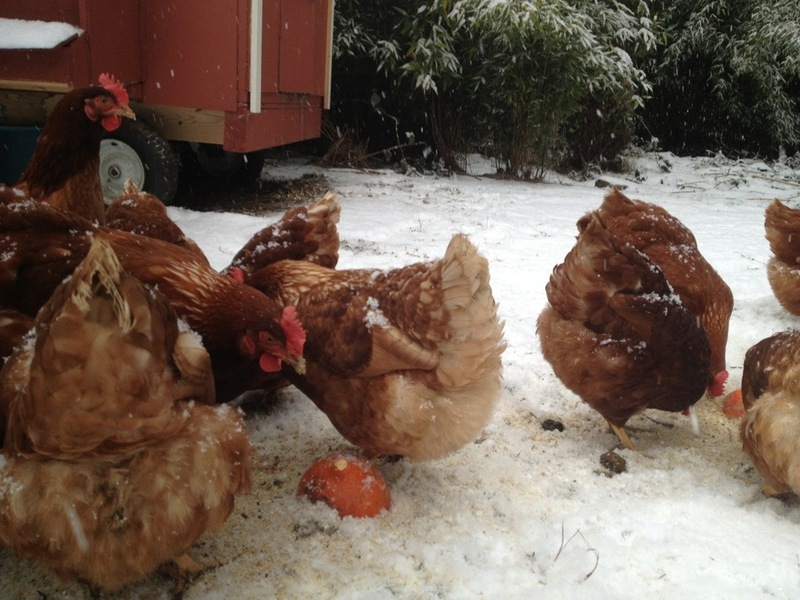 The chickens are definitely under-impressed with all the snow over the past couple of days. As am I, to be honest. The worst part of this deluge has been the strange nature of the precipitation – a mix of rain, snow, ice pellet, and sleet. It’s just warm enough that there’s a good foot of slush in places and plenty of running (gushing) water everywhere. 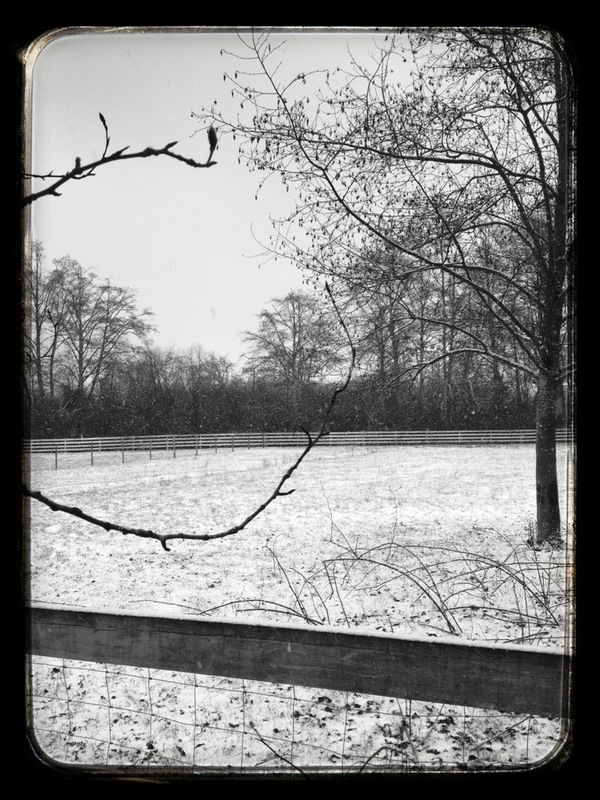 It’s just cold enough that the snow is sticking and making it horrible to walk/carry hay/function outside. It is now pouring as I write this… if the temperatures creep up over night, much of this mess will have washed away by morning. 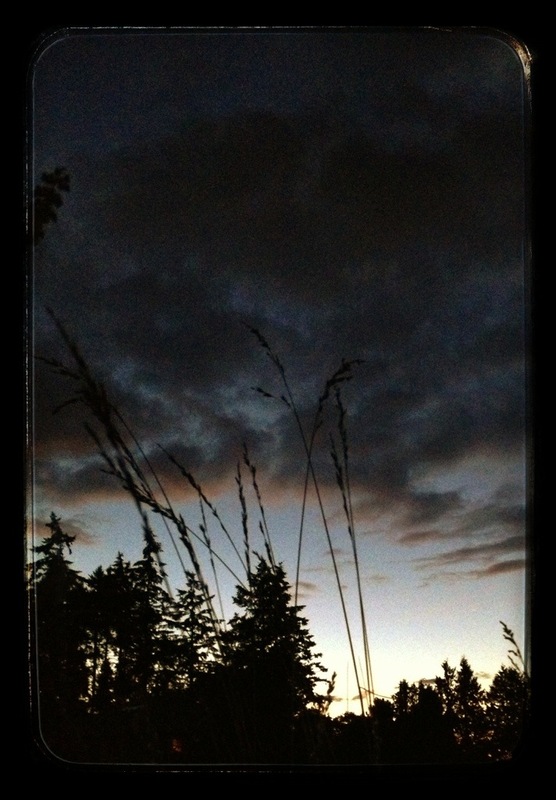 If the temperatures go the other way… oh, my – I don’t even want to think about the mess my hill will be by the time morning rounds roll around… Yuck! Inside their hog hut, Pearl and Olivia build fluffy nests out of hay and then burrow in and snuggle up together. They seem to be dealing with the nasty weather remarkably well, all things considered. Garden Nemesis: The Evil Himalayan Blackberry! I’d sure like to have a word with the chumps who carefully packed seeds or canes or whatever they brought with them from the Old Country and then carefully cultivated new Himalayan Blackberry patches in land formerly unplagued by these monstrous beasts. Apparently, (at least according to the Royal BC Museum website) the fool who muled them here in 1885 was an American botanist! Surely a botanist should have known better????? Yes, the berries are sweet and delicious and wonderful for making jam and pie (I believe that was the original motivation for import), but are they worth the havoc the dense thickets are wreaking on our native species? The stands of lacerating canes are so dense and vigorous it doesn’t take long to choke and/or shade out whatever might otherwise be growing (Garry Oak groves, for example). 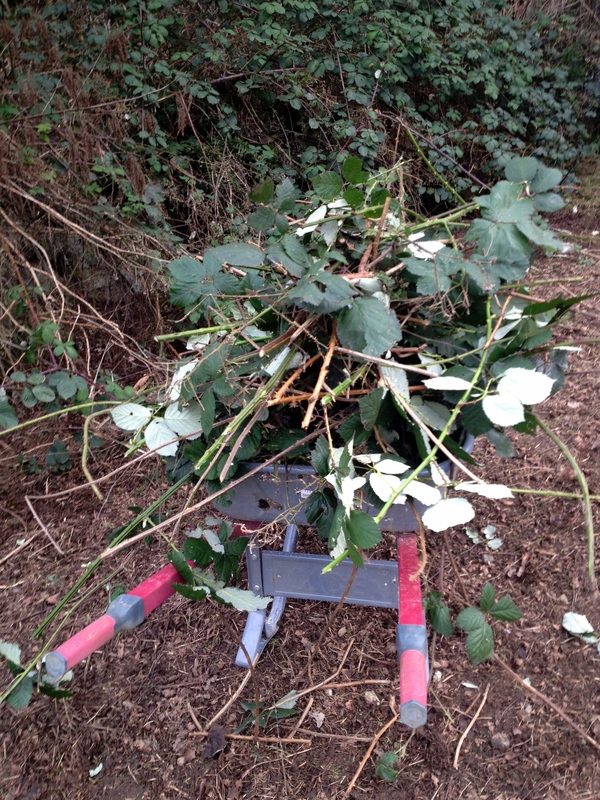 Fighting the prickly canes is a miserable task. Anyone who believes plants can’t think (plot/scheme/have it in for us) hasn’t fought with barbed tendrils that wrap around you, entwining your entire body in search of exposed skin or, even better, loose hair, or even better than that, a key artery. Is there anyone who is happy about this abundance of invaders? Indeed, yes – the goats! Unfortunately, the area we are clearing at the moment isn’t one that I can easily fence or we’d just let the goats come in and strip the canes. They happily wade right into the nastiest of thickets, noshing all the way and will eat all but the oldest, toughest stalks when given half a chance. 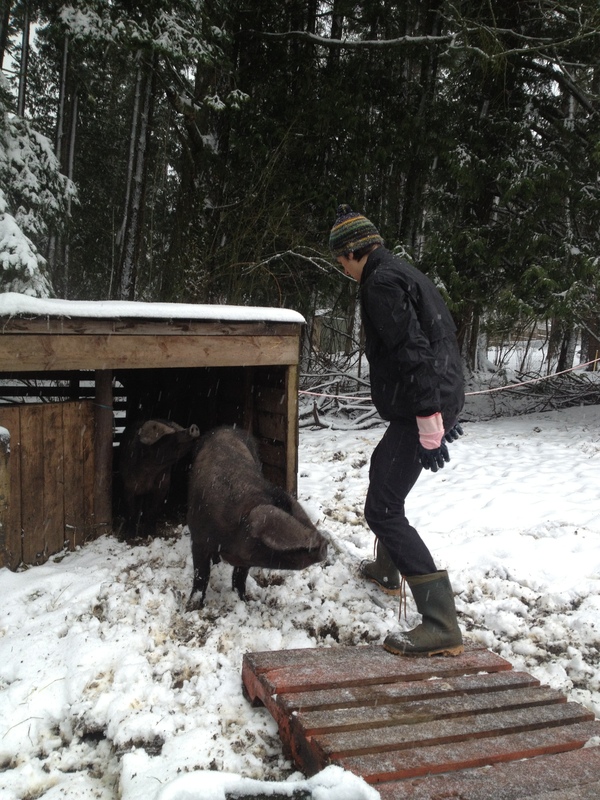 After they are done, the hogs are great at using their powerful snouts to dig out the roots, which they eat with gusto. Such a shame this isn’t really a livestock-friendly area. Not wanting the creatures to be left out of all the fun, I hauled several wheelbarrows full down to the goat pen and they were happy to help us out with a bit of pre-compost processing. Alas, it’s up to us humans to first hack the beasts off at the knees and then get in there and dig out as much of the roots as we can. The red layers love helping whenever we are out in the garden. They race over and see what we might have dug up. They are very good at taking care of slugs and bugs and also turning over the top layer of soil while fertilizing and are great to run through garden areas at this time of year when the annuals are done and there isn’t much they can damage. Soon, though, when we re-seed the lawn and put in our new rockery they will have to move down to the poultry field with their fancy rolling house and take their place with the other birds. I’ll miss not having them so close to the house, though it will be great not tripping over six or seven at a time as they vie for the opportunity to untie my shoelaces and peck at my calves every time I go outside!